This project was to be one that used fabric from my stash and the embossed, faux quilted jersey looked like a prime candidate. 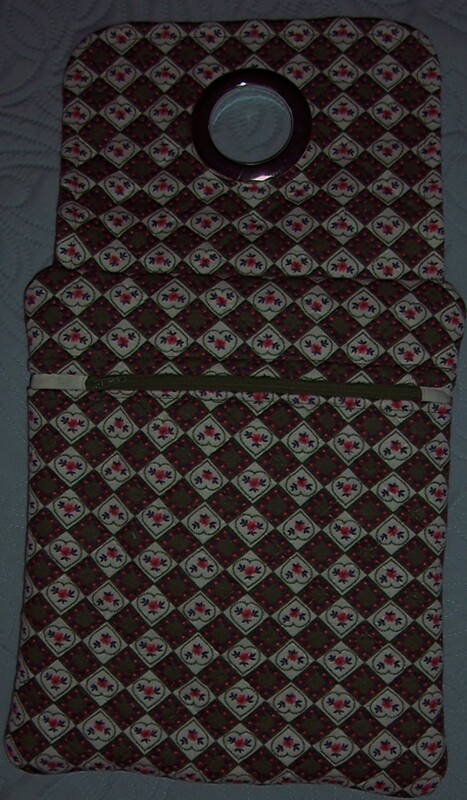 I decided that it would be ideal as a padded bag for an e-reader. In a little over 2 hours the bag was completed. 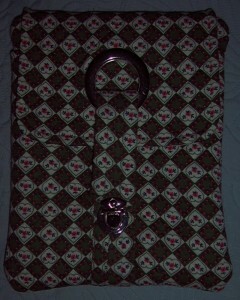 I used plain natural-coloured cotton for the lining and a green zip for the back pocket. 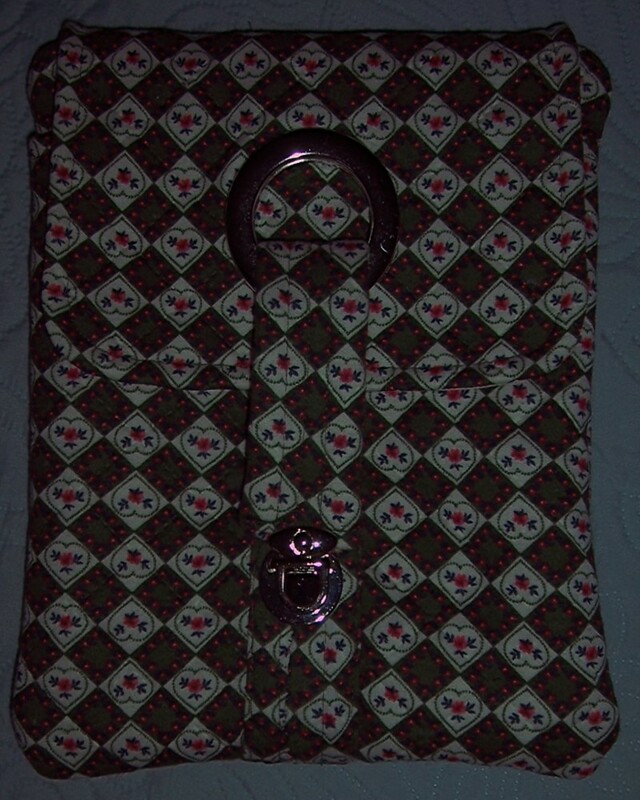 The bag measures approximately 8.5″ wide x 10.5″ deep so will also accommodate a small i-pad or tablet. 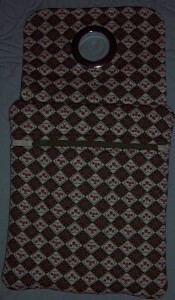 The zip being shorter than required was extended with tabs in the lining fabric. Despite cutting away some of the wadding the closure strap was very thick meaning that I could not make a button and buttonhole fastening. I have still not located my stash of velcro, so instead I used a nickel-finished tuck lock which co-ordinates with the “silver” gromit of the flap. I have a long length of this unusual fabric left – it will be appearing on the blog again soon!